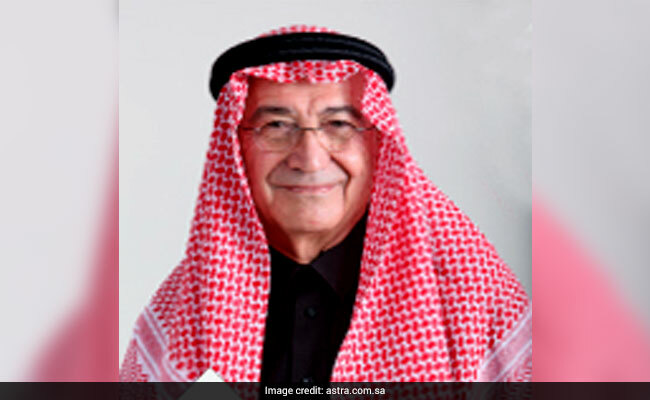 Palestinian Billionaire Sabih al Masri Released By Saudis; Says They "Gave Him All Respect"
Masri, the chairman of Amman-based Arab Bank, was detained last Tuesday hours before he was planning to leave after chairing meetings of companies he owns, sources said. AMMAN: Sabih al Masri, a Palestinian billionaire and Jordan's most influential businessman, was released after several days of detention in Saudi Arabia, who he said gave him "all respect". The Saudi authorities have not commented on his detention, which followed the biggest purge of the Saudi kingdom's rich and powerful in its modern history. His confidants had warned him not to travel to the Saudi capital after the mass arrests in early November, the sources said. The detention sent shock-waves through business circles in Jordan and the Palestinian territories. Masri's multi-billion- dollar investments in hotels and banking in Jordan are a cornerstone of the economy of the kingdom and he is by far the biggest investor in Palestinian territories. Masri said on Sunday that he would be returning to Jordan after finishing business meetings this week. "All is well and am happy (to be released) and I was given all respect by everyone here," a Saudi citizen of Palestinian origin, told Reuters from his home in Riyadh. A member of a prominent merchant family from Nablus in the Israeli-occupied West Bank, Masri amassed a fortune by partnering with influential Saudis in a catering business to supply troops during the U.S.-led military operation to retake Kuwait from Iraq in the 1991 Gulf War. He is the founder of Saudi Astra Group, which has wide interests in diversified industries ranging from agro-industry to telecommunications, construction and mining across the region.